Damn, you're ugly. Probably because you're from an iOS screenshot. Of course, this port has been out for some time on iOS, but the developer behind it (MachineWorks Northwest) has been hard at work to get the title on Android. We know it's coming very soon, but we don't have an exact date at this point. The real question, though, is who wants some [gameplay footage]? We do, and we're hoping to get some hands-on time with the title soon. It will be compatible with all Android devices running 2.1 or higher, Honeycomb tablets included. San Francisco, CA – October 12, 2011 – Tapjoy, Inc. (www.tapjoy.com), a leading independent mobile application network, announced today that it has partnered with MachineWorks NorthWest (www.machineworksnorthwest.com) to bring the iconic video game Duke Nukem 3D to the Android Market. MachineWorks NorthWest partnered with Tapjoy as part of the Tapjoy Android Fund, designed to bring top-quality mobile games and applications to the Android platform. Duke Nukem burst onto the scene in 1991 as the wise-cracking, cigar-chomping, woman-loving tough guy who must save the Earth from invading aliens, and does so with all the irreverence and hyper-masculinity of a Hollywood action hero. 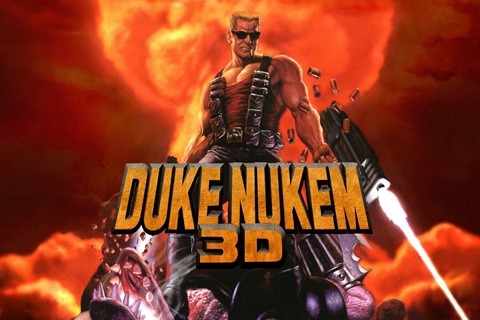 The third installment in the highly acclaimed Duke Nukem series, Duke Nukem 3D is a first-person shooter game set in Los Angeles “sometime in the early 21st century” in which players use increasingly sophisticated weapons in order to defeat aliens and mutated humans attempting to take over the world. The launch of Duke Nukem 3D in the Android Market marks the first time any of the Duke Nukem titles are available on Android devices. Tapjoy provided MachineWorks Northwest with development support to help port Duke Nukem 3D from iOS to Android. Duke Nukem 3D is currently being promoted through Tapjoy’s performance-based ad network to improve discovery of the game and increase new user acquisition. Duke Nukem 3D will be available very soon from any Android smartphone or tablet device running version 2.1 and up through the Android Market, or online at http://www.machineworksnorthwest.com. Machineworks Northwest LLC is an academy-nominated (AIAS) mobile game developer . A Mobile Developer since 2001, Machineworks started with the official Doom1 and Doom2 ports to Pocket PC for Id Software. MW designed the critically acclaimed Prey and Duke Nukem Mobile line of mobile games, pioneering the 2D/3D release strategy and created the best-selling Guitar Hero Mobile 3 and 4 for Hands-on Mobile, all running on RIPP3D, Machineworks award-winning mobile 3D Tech. Other titles include Stargate SG-1, Rocky Boxing 3D , Don’t Forget the Lyrics, Painkiller Purgatory, 3D Hunting: Alaskan Hunt. Customers include 3D Realms, Bandai, Microsoft, Nokia, Id Software, HP, Glu Mobile, Chillingo/EA and Sega. Machineworks was voted Best Mobile 3D Studio, won numerous Editor’s choices and “Best Mobile Game of the Year” Awards, including CNET’s “10 best mobile games ever made.” Entrepreneur magazine recognized Machineworks as “one of the 100 brilliant companies to watch” in 2009. Tapjoy is the success engine for mobile application distribution, engagement and revenue. The company’s turnkey in-app advertising platform helps developers acquire cost-effective, high-value new users, drive engagement within their applications, and create incremental income by providing an ad-funded payment method. The Tapjoy ad marketplace spans over 10,000 applications and 280 million global consumers on iOS, Android and emerging mobile platforms, delivering more than 1 million advertising completions per day to application developers and advertisers. Tapjoy is backed by top-tier investors including J.P.Morgan Asset Management, Rho Ventures, North Bridge Venture Partners, InterWest Partners and D.E. Shaw Ventures. Headquartered in San Francisco, the company also has offices in New York, London and Tokyo. For more information, please visit www.tapjoy.com. Note to Editors: Android and Android Market are trademarks of Google, Inc.; iOS is a trademark of Apple, Inc.